When I first heard about KaBOOM!’s partnership with Kool-Aid, I thought unequivocally that the nonprofit had swallowed the sugary, Red No. 40-punch. Kool-Aid’s pledged to help KaBOOM! build 24 playgrounds and provide funding for 20 more. In a campaign aimed at promoting “healthy, active lifestyles for kids,” why is KaBOOM! partnering with an historic obesity perpetrator for a campaign aimed at promoting “healthy, active lifestyles for kids?” It’s a model case of brand misalignment. With today’s children anticipated to have a shorter life expectancy than their parents (due to obesity and obesity-related conditions like diabetes), obesity is no longer child’s play. Why hasn’t the public condemned this partnership as it did Susan G. Komen’s campaign with KFC? As I read over different press releases and articles that talked about the campaign, I jotted down its flaws. In addition to brand misalignment, this pairing lowers the ethical bar for partnerships between nonprofits and brands. What’s next, the Sierra Club promoting Clorox? Amidst vending machines that now dispense carrots and the First Lady’s efforts to curb child obesity, isn’t the connection between play and Kool-Aid a dangerous one to make–particularly for this generation? The press release on KaBOOM!’s website doesn’t shirk the sugar, describing Kool-Aid as “the iconic soft drink that has stood for fun and refreshment…” How do you reconcile We’re endorsing something sweet and sugary, but we care about your children’s health? Flaw #3 The campaign announcement came directly from Kool-Aid’s senior brand manager. I realize it’s a brand play for a new Kool-Aid product line, but there’s an ethical responsibility inherent in youth marketing that I wish both Kool-Aid and KaBOOM! had taken more seriously. Red Flag #4 Soul-selling and cavities for a gift of just 44 playgrounds? Surely KaBOOM! can attract other partners to fund 44 playgrounds. Not incidentally, KaBOOM! is one of my favorite nonprofits for the way it operates. Founder Darell Hammond runs it very much as a for-profit entity, which has contributed to its bonanza growth. But then I thought past my initial finger wagging. What’s the possible flip side? Flip Side #1 The average KaBOOM! playground costs $97,500. At 44 playgrounds, that’s about a $4.3 million investment. Flip Side #2 Kool-Aid’s playground pledge is tied to its launch of several new, lower-calorie, vitamin-enriched and sugar-free products. Still chemically, still fake, I know, but not everyone can pony up for Naked Juice or Honest Tea or reach for. 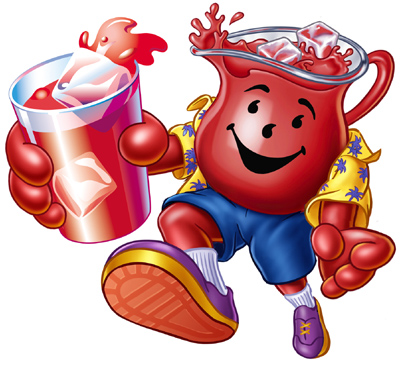 By offering products to lower-income families that are less detrimental, is Kool-Aid doing a public service? This isn’t the first time the ethics of business, marketing and cause-related programs have been argued. And the partnership still leaves an unpleasant taste in my mouth, but it’s worth reaching beyond any initial reaction formed by personal life experiences to understand the campaign’s potential positive impacts on a different set of life experiences. I took the time to dig deeper into it because I was curious about KaBOOM!’s motivation and (as I see it) responsibility to uphold some ethical standard. But I wouldn’t have regularly. Yet despite my calculations of playground costs and re-adjusted socio-economic bias, I still find the campaign harmful, falsely congratulatory and inauthentic. But it was a conclusion worth the extra time it took to form. This sounds like a green-washing effort by Kool-aid. There should be a running list of these cause-wash campaigns. Too many to count.